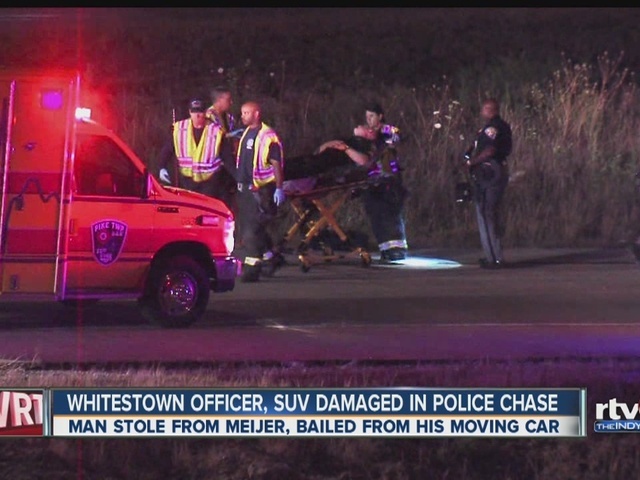 A Whitestown police officer is recovering after he was hurt in a car chase early Friday morning. The chase began on the southbound lanes of Interstate 65 near mile marker 130 around 1:50 a.m.
Police say speeds reached 140 mph. 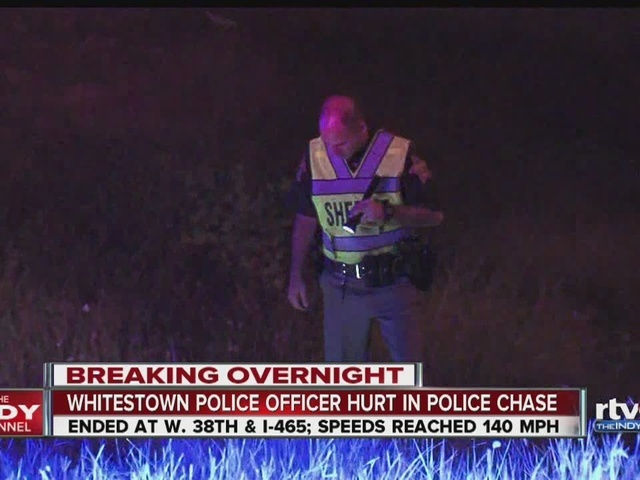 The chase ended on the exit ramp of I-465 and W. 38th Street, where the Whitestown officer's car crashed into the suspect's. The suspect was later identified by police as Ryan Walker, 31, of Gary, Ind. He faces preliminary charges of theft, resisting arrest, reckless driving and other warrants from Hendricks County. Boone County dispatchers said the officer suffered minor injuries. Police say Walker got out of his car and ran after the crash and was arrested unhurt. The chase began as a traffic stop for investigation of stolen merchandise from a Meijer store, police said.